Or, get it for 54400 Kobo Super Points! Transcutaneous ultrasonography is an established procedure for diagnosis and therapy in gastroenterology. However, ultrasonic images can often be hampered by pulmonary and intestinal gas and by bony and adipose tissue. In 1956 Wild and Reid reported the first results of transrectal ultrasound of the prostate . 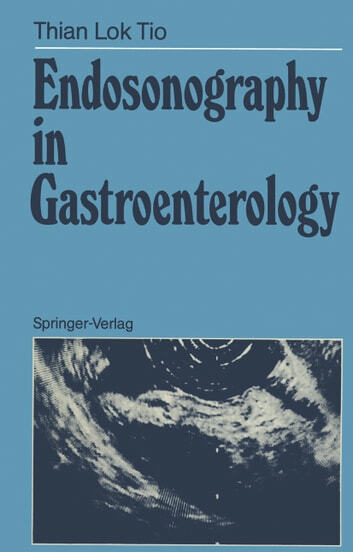 In 1976 Lutz introduced an A-mode ultrasonic probe which could be introduced via the biopsy channel of an endoscope . In 1978 and 1980 Hisanaga performed echocardiography using an ultrasonic transducer attached to the tip of a flexible instrument [3, 4]. In animal studies and later on in humans Di Magno has used an echoendoscope in which a small transducer was attached at the tip of a fiberoptic endoscope [5, 6]. The purpose was to overcome the limitations of transcutaneous ultrasonography by directly approaching target lesions with a high-frequency ultrasound source via the gastroin­ testinallumen. SJlbsequently, the first series of endoscopic ultrasonography (EUS) examinations were reported during the European congress in Stockholm . The purpose of this book is: 1. To evaluate the technique and the equipment for endoscopic ultrasonography 2. To evaluate in detail the endosonographic pattern of the normal and abnormal wall structure 3. 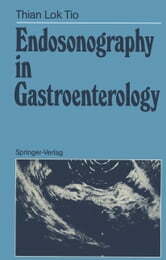 To analyze a large consecutive series of various gastrointestinal malignancies in order to determine the usefulness and accuracy of EUS in the detection, staging, and therapy of malignant diseases 4. To compare EUS with other imaging techniques References 1.